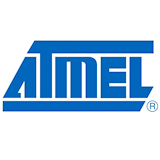 A complete software development tool offer for application designers working with Atmel's C51 family of microcontrollers, which combines an 8-bit 8051 core with a wide range of peripherals, memory types and packages to meet a wide range of general purpose and application specific requirements. The Raisonance tool offer builds on the proven Ride integrated development environment and the Raisonance C compiler for 80C51. For hardware debugging, the Raisonance tool set is available bundled with Phyton PICE emulators supporting a wide range of 8051 core-based microcontrollers.